How do you decide what content to write about or what the content on your site should be? Normally we aim for keywords that have lots of search traffic behind it. We can find this out by using something free like the Google Keyword Planner tool. Good keywords = High traffic keyword? This is not always the case. Why? Create content that targets low competition – low search traffic keywords. What you loose in traffic potential you make up with targeting more keywords. Your content will be more focussed. Leading to customers with stronger intent to purchase. 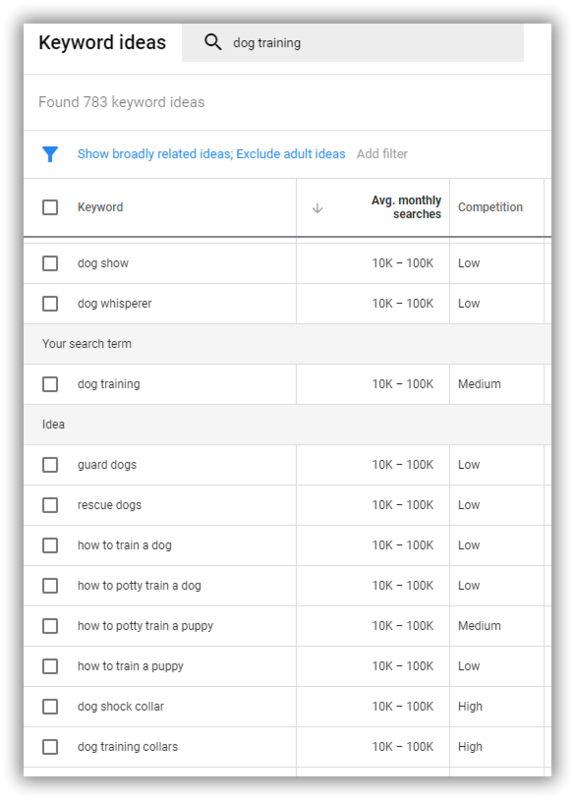 Easier to write about “dog training for puppies” than a generic keyword like “dog training”.